"Ask the Experts", this popular topic will be presented again. A panel of experienced researchers will address your questions and other topics of special interest. 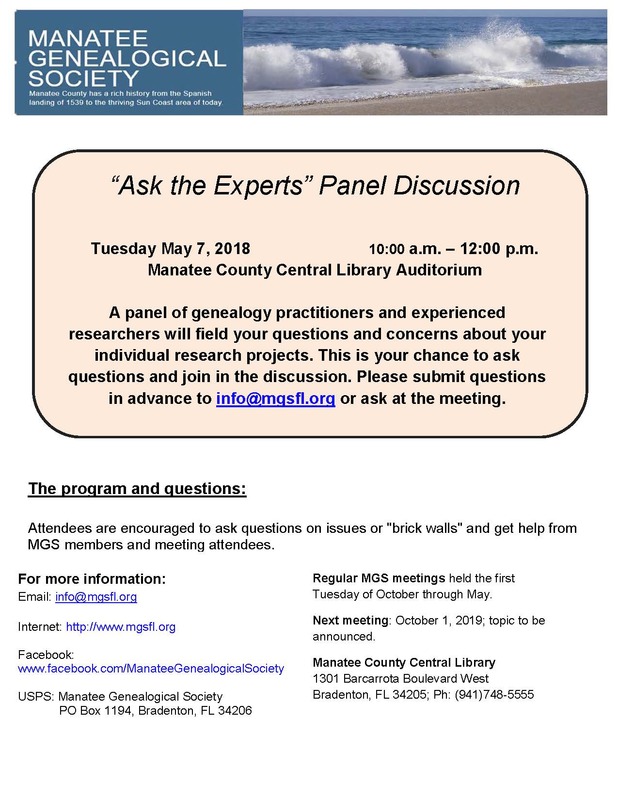 You may submit questions in advance to info@mgsfl.org or ask at the meeting. "DNA Topic to be Announced." 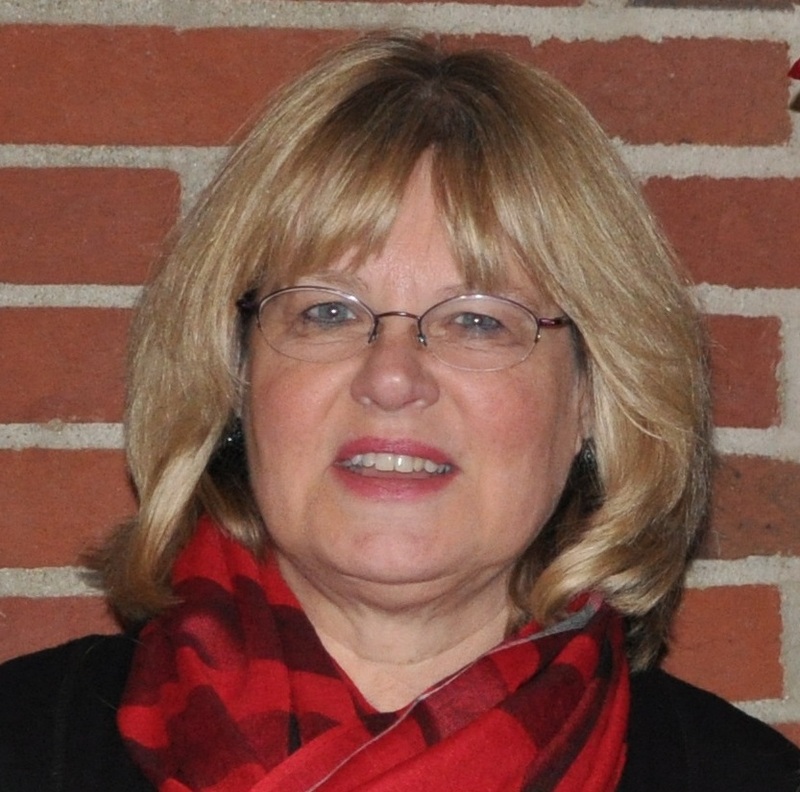 The DNA SIG is led by Peggy Jude. BRING YOUR COMPUTERS. She has been conducting genealogical research for her family and clients for over 40 years. Peggy is a member of the board of the Manatee Genealogical Society and holds a BS in Zoology from Iowa State and a Masters from the University of Michigan. She is an alumnus of the Genealogical Institute of Pittsburgh (GRIP) and the Institute for Genealogy and History Research (IGHR), completing a full week in-depth course on DNA Tools and Techniques. She recently completed a workshop on Visual Phasing and has attended numerous National and Regional Conferences.